Ben Harper would have had an easier time of getting Janey, Nick and Michael to fly the nest when the show My Family first aired in 2000 than he would presently. In a recent survey conducted by ONS , the number of 20-34 year olds living with their parents has rocketed to a staggering 3.3million in recent years. To put that figure into some form of perspective; in 1996, those still living with their parents totalled 2.7 million, meaning an increase of 618,000 in under 20 years. To help young adults to make that all important leap onto the first rung of the property ladder, schemes such as the ‘help to buy ISA’ has been introduced and widely publicised; but is it enough? Unsurprisingly, there are still a number of hurdles and stumbling blocks that are preventing even the most independent first time buyer from leaving their family home. An increase in house prices saw first time buyers spending more than four and a half times their annual income in 2000. The price to income ratio then rocketed in 2004, reaching its highest peak, and has since remained relatively stable. 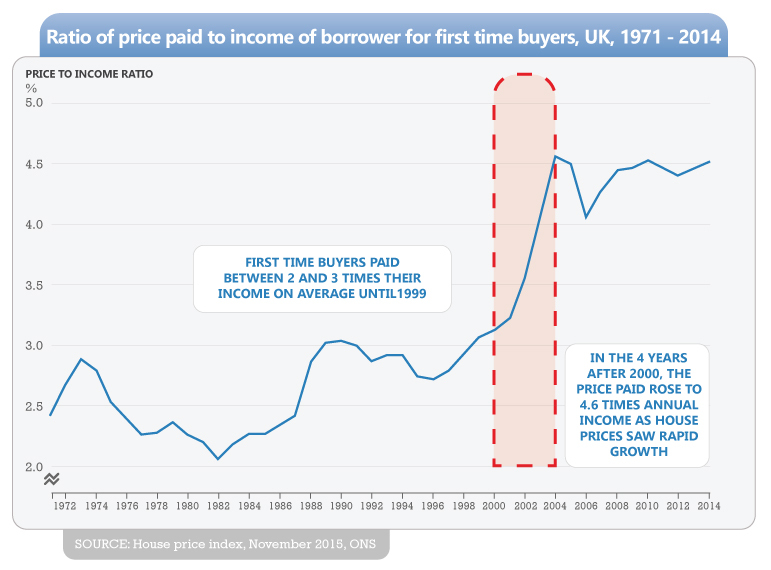 Present day figures still beggars belief when contemplating that prior to 1999, the average spending on a first time property mortgage was between two and three times the applicant’s annual income. Raising a deposit in order to get a mortgage has always been one of the struggling points for first time buyers. This was especially the case for those looking to secure a deposit in 2009, the height of the economic down-turn. With increased restrictions from mortgage lenders and extensive criteria needing to be met before lenders would even contemplate eligibility; 2009, witnessed the average deposit for a first time buyer peaking at 27%. 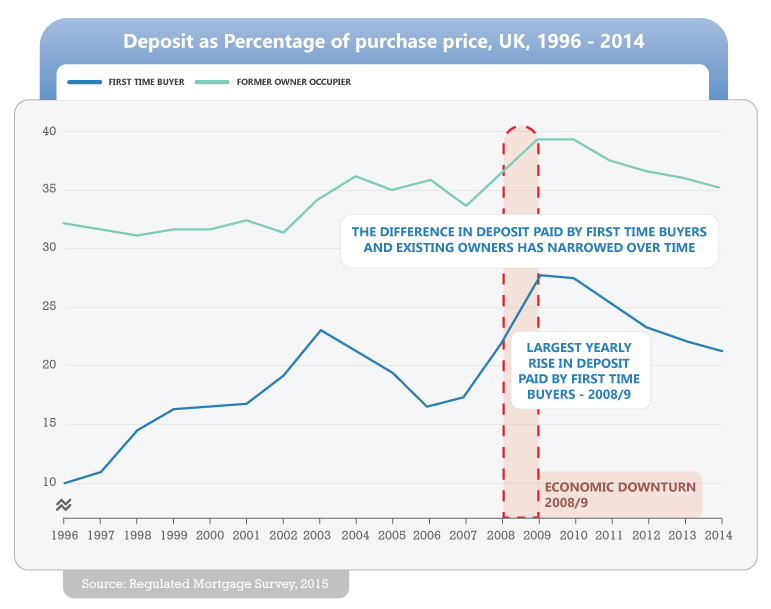 Back-tracking to 1996; the average first time deposit was 10%. Although there has been a slight decline from the 2009 peak, there is still a massive 10% difference between 1996 figures and those of 2014. Considering house prices are now more expensive; this would go a long way in terms of explaining why there are now more young adults opting to stay at home whilst they try to raise funds. As mentioned, the recession warranted stricter eligibility criteria in order for first time buyers to secure a mortgage. This caused a considerable decline in the amount of mortgage loans after 2002. The figures only began to rise again in 2012. Presently, we still have a long recovery before reaching the average 486,000 mortgages achieved between the years of 1980 and 2002. In 1996, the average age for marrying women was 16 years of age. This has since changed in recent years, with the age for women marrying in 2012 averaging 30 years of age. This trend has similarly been the case for men, where the average age for males marrying in 1996 was 29 years of age, which increased to 32 years of age in 2011. Those entering into a civil partnerships are choosing to do much later on in life. This has seen a decrease in the number of young couples cohabiting and increase in those still living with parents. Housing Benefit will permit single adults under the age of 35 bed-sit accommodation or a single room in shared accommodation. As an incentive, this is unlikely to encourage young people to move from their parent’s home. This is especially relevant for younger males who are more likely to be offered this option as they are less likely to be living with children. In recent years, a monumental increase has seen 72% of 18-24 year olds choosing to remain in full time education than there were in 1996. That’s an increase from just over 1.1 million in 1996 to 1.9 million in 2015. The repercussion of this has seen young adults starting their salaried jobs far later; meaning they are having to wait in order to achieve their deposit. Also, until young adults can prove that they have a stable income; there is less of a chance of them securing a mortgage. 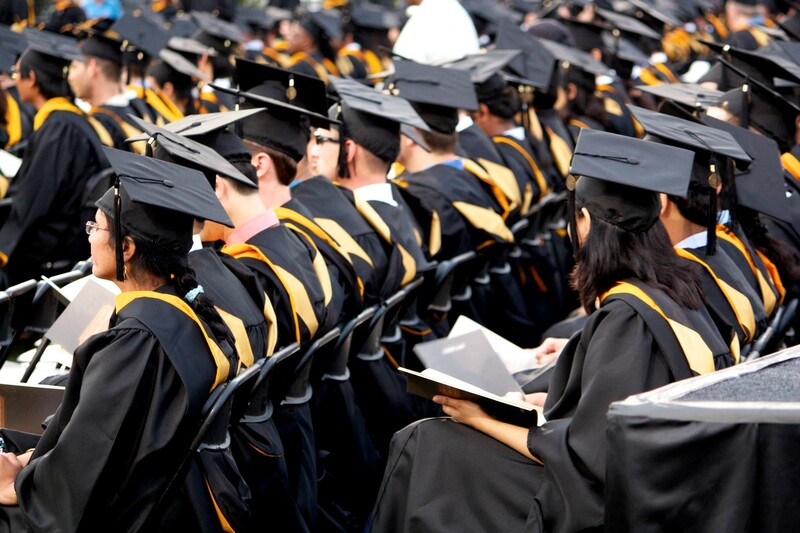 Owing to the expensive nature of higher education, a greater number of students are choosing to remain at their parent’s home whilst studying to reduce their outgoing expenditures. 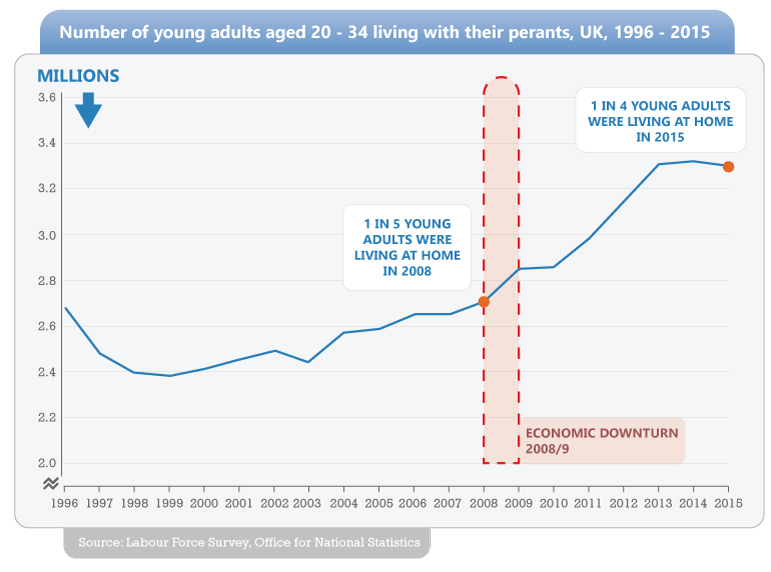 With a range of hurdles, it's no wonder why Britain’s young adults are still living at home.